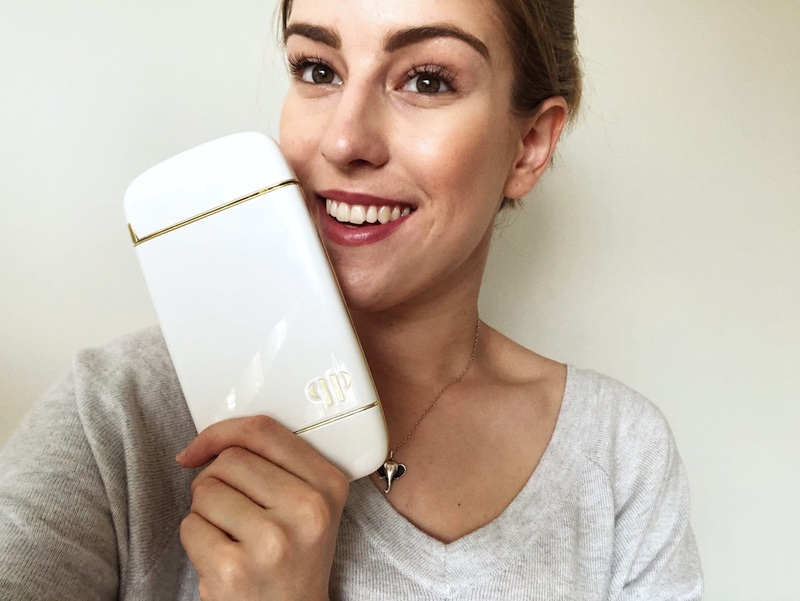 For those of you who haven't heard of Pressplay Cosmetics before, they have created a smartphone-sized unit that contains a customisable suit of skin care and cosmetics to keep you on the go and looking your best. We live in a busy world where so often we have to touch up or do our make up on the go. 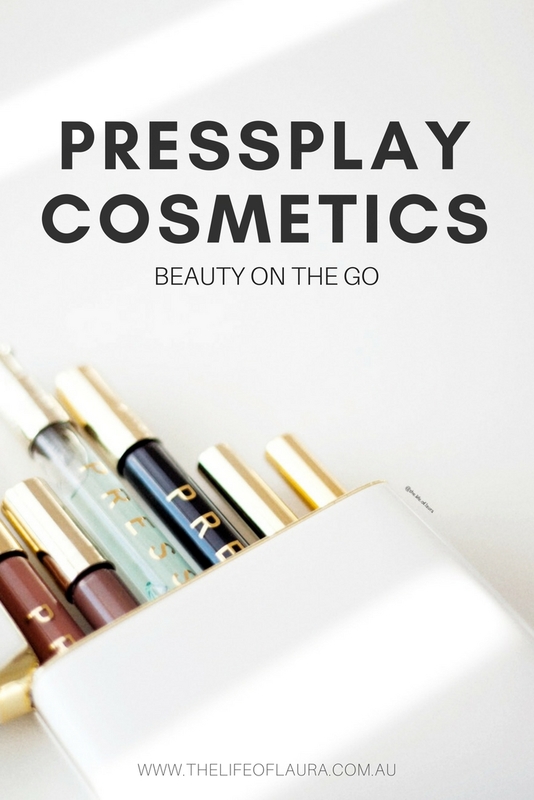 Essentially Pressplay has created a home to be able to carry everything you would need to touch up without having to carry your whole beauty collection everywhere you go. They have run extensive trials and tests to deliver real results, high pigmentation and leave you looking radiant time and time again. 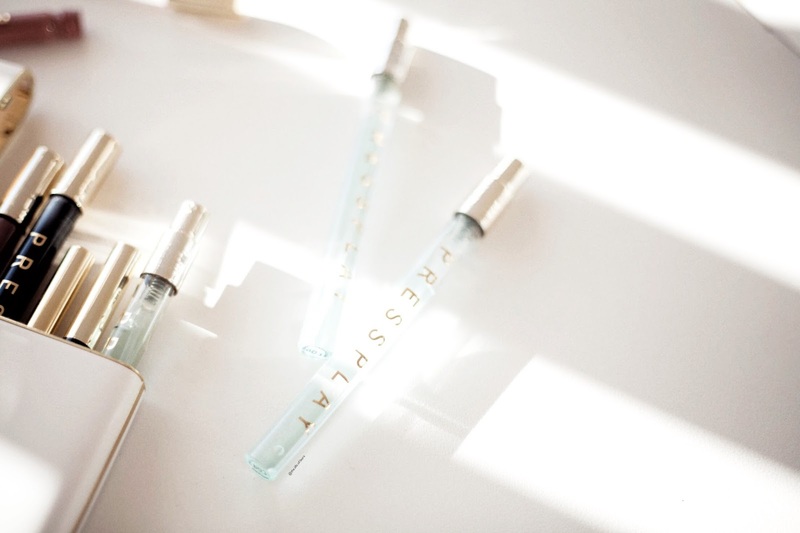 Pressplay Cosmetics are produced in some of the most advanced cosmetic laboratories in Italy, Germany and Australia, and their formations use only the most refined, safe ingredients. Best of all, they also do not test on animals. 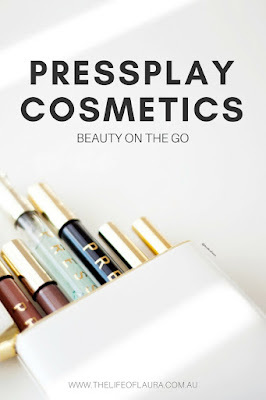 So how do the Pressplay Cosmetics capsules work? Step one is to choose your capsule. 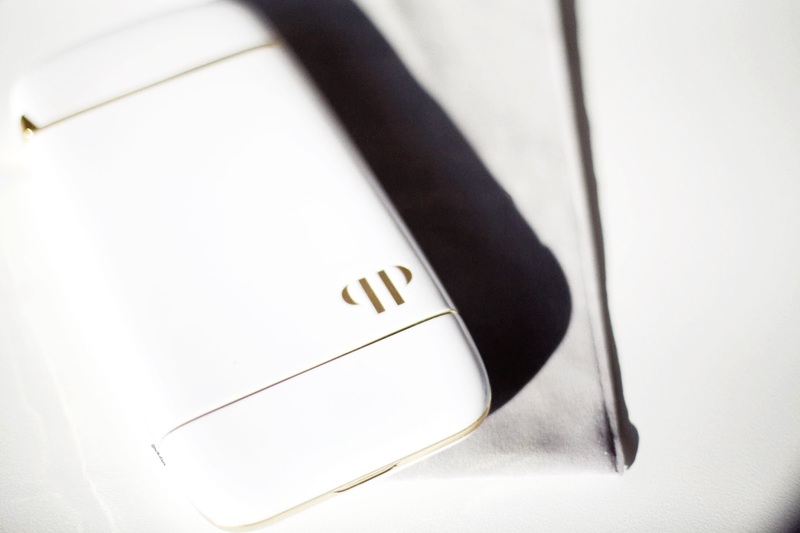 The Pressplay Capsule* has storage space for up to 7 of the Pressplay products, plus a compact application mirror. It is just slightly bigger then a plus size iPhone, but is slim and slides nicely into a clutch, handbag or to just carry around as is. It comes in two colours - black and white - and also comes with a dust bag to carry it in. The Capsules are $39 each. I love the design of these capsules. They are slim and sleek but look really classy and high end. I chose the white colour and I love it. While I understand that some people might be worried about white getting dirty in handbags, but the case itself is easy to clean and I find the white easier to find in my handbag. The top opens up easily to reveal six of your chosen products. While it shuts easily, I do wish it had a clasp to shut it a little more securely. I haven't had an issue with products falling out as they can be pushed down to secure in place, but the lid does open quite easily and over time I could see the hinge wearing out and not closing quite as well. On the other end you can add a powder and it has a small mirror as well. I do find the mirror a little bit fiddly to get open and shut. Other then that, the design is just gorgeous! Once you've chosen your capsule colour, the next step is choosing the products to fit inside. Pressplay have a range of products from lip and eyes, to brows and foundation. They also have skincare, including sunscreen coming soon. My capsule includes mostly make up, with a touch of skincare...All the products are slim and slide easily into the capsule. The eyeliner is slightly shorter then the others, but they are still easy to get in and out of the capsule. My capsule includes two Face Paint products. Face Paint is designed for versatility and to give you more for less. They are highly pigmented products that can be used on your lips, or you can also use a small amount (the tiniest amount) and blend them out as bronzers or blush. My capsule includes Christian*, a brown toned shade, which is great for using as a bronzer or as a lipstick. I also have Julian*, a pink/rose toned shade that is a gorgeous lip colour but also a lovely blush shade. The Face Paints are sooo pigmented. I did not expect them to be as pigmented as they are. It's true what they say about a little bit going a long way. While the consistency reminds me of a liquid lipstick, they don't set matte like a liquid lipstick does, but the colour still lasts really well. While they don't last through a meal, the wear is still really good, plus if they are in your capsule, you can touch up whenever you need. As for cheeks, they also work really well, but again I would say a LITTLE bit goes a long way, however it blends out easily. The Alexander Eyeliner is a waterproof, 24-hour, long-lasting eyeliner designed to define your eyes with highly pigmented and intense, rich darkness. It is a felt tip eyeliner with a fine tip that is easy to get in around all your eye curves to get a fine line or build it to a more dramatic look. While I don't really wear much eyeliner any more I have been enjoying this product on the couple of times I have used it. It isn't quite as black as I typically like, but it is easy to use and lasts really well, which is a big claim seeing as eyeliner rarely lasts on my eyes. William is a perfectionist and wants to help contour and sculpt your eyebrows to perfection, for the perfect brow every time. Easy to apply, smudge proof and long-lasting, your brows will frame your features perfectly. William is a felt tip brow pen, much like the eyeliner. I have never tried a felt tip brow pen before but I do quite enjoy it. The brow pen is less pigmented then the other products, but I find it is great for filling out my eyebrows on the days when I want a bit more of a natural look. It does also last really well and I find I need a good oil cleanser to get it off at the end of the day. The Christopher mascara is designed to give you intense lashes that last. It is a waterproof formula that can be used to build lashes up without clumping, strengthening your lashes as you go. This is the one product in my capsule that I actually haven't tested. As I have lash extension at the moment I don't really use mascara, only occasionally on my bottom lashes. So I can't comment on how this wears. The formula looks thick and the wand looks like it would apply the mascara evenly and well. The Cruz Hand Sanitiser is a luxurious and refreshing gel that is designed to keep your hands feeling clean, fresh and soft. It is enriched with natural ingredients such as refreshing lemon myrtle essential oil, organic aloe vera and hydrating glycerin. It comes in a set of three so you can have a couple back ups for when you run out. I love that you can add this in because hand sanitiser is something I always use when I am applying make up on the go. It is quite an easy way for me to feel like I have got excess product off my hands after I've touched up. I don't love the pump on the hand sanitiser, it feels a little bit cheap and I find that it doesn't always pump the product out easily. However, I really like the hand sanitiser itself. It is probably one of the best smelling hand sanitisers I have owned. It is definitely hydrating and doesn't feel harsh on the skin. While there is some initial stickiness after I apply it, that quickly soaks into my hands and within minutes they feel refreshed again. Pierre brings peachy pink and gold tones to your cheeks for a natural yet unmistakably glamorous look. It comes as a single tin, which adhesive on one side so you can stick it into your capsule without having to worry about it falling out. I love this powder. 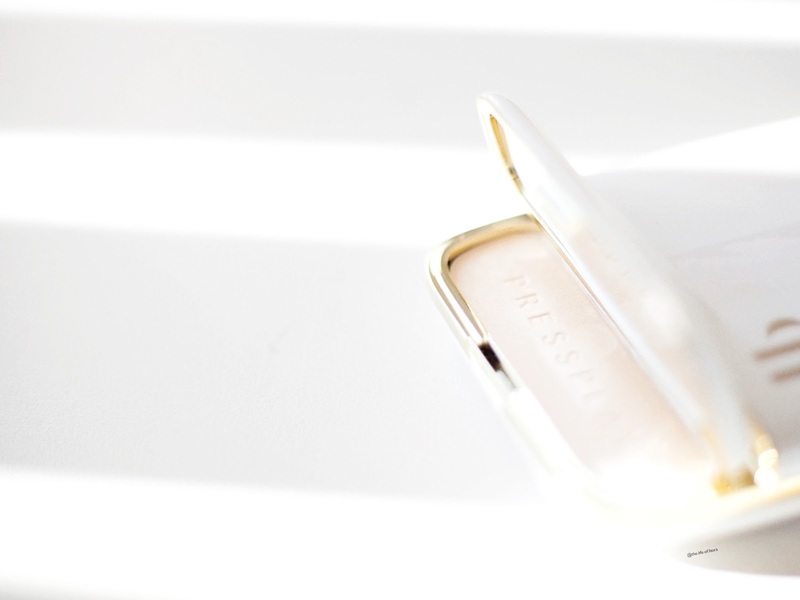 It is a gorgeous little highlighter that works perfectly for my pale skin. Again, it is a product where a little bit goes a long way, however you can build it up for a more intense highlight if you want. It is both cruelty free and vegan as well for all you vegan make up lovers. All in all, I am really impressed with my Pressplay Cosmetics capsule. While is definitely not my every day make up collection, it is perfect for when I am travelling, on the go or just need a touch up mid day. This is going to be a life saver when I go travelling, with everything all in one spot. The design is just gorgeous and it is just such an innovative idea.